For your contemplation: Serge Bulat's new album 'Quelelbum"
On the surface, Queuelbum, the debut LP of Moldovian, NY-based songwriter Serge Bulat, already stands out. His contained experimentalism is striking, as he is able to coalesce electronic textures and keyboard melodies to create a sound that, flirting with influences as varied as post rock, ambient house, classical and lounge, is overall serene, but not without interesting friction. Queuelbum, though, is more than just its music. It's also a concept album about the fluidity of past and present, with a catch—it's entirely instrumental. 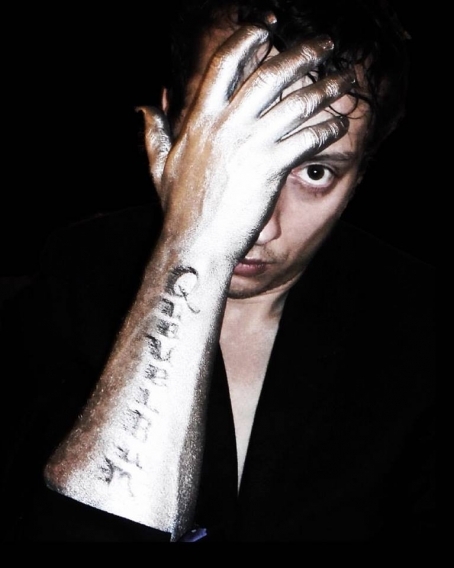 Instead of injecting meaning through lyrics, Bulat provides abstract pieces of prose, images and, alongside director Michael Rfdshir, moving scenes of visual art: Serge provides meaningful guides that seek to stimulate the listener's thoughts about his music and the album's central theme, time. The music also reflects this: the songs are kept busy enough to make them interesting, while still allowing for enough space for the intellectual contemplation the composer intends to stimulate.